For people who want to let local chefs do the heavy lifting, here’s a look at restaurants in the D.C. area that will welcome diners for a holiday meal on Thursday, November 22. As the old saw goes, all the effort that goes into cooking and cleaning on Thanksgiving cuts down on time that could be spent arguing about politics with a zany uncle. A holiday buffet boasts highlights such as acorn squash bisque, herb-roasted turkey, and stuffing made with chestnut confit. A variety of pies will be featured for dessert along with apple cider doughnuts and chocolate chip toffee cookies. The price is $58 per adult, and $20 per child. 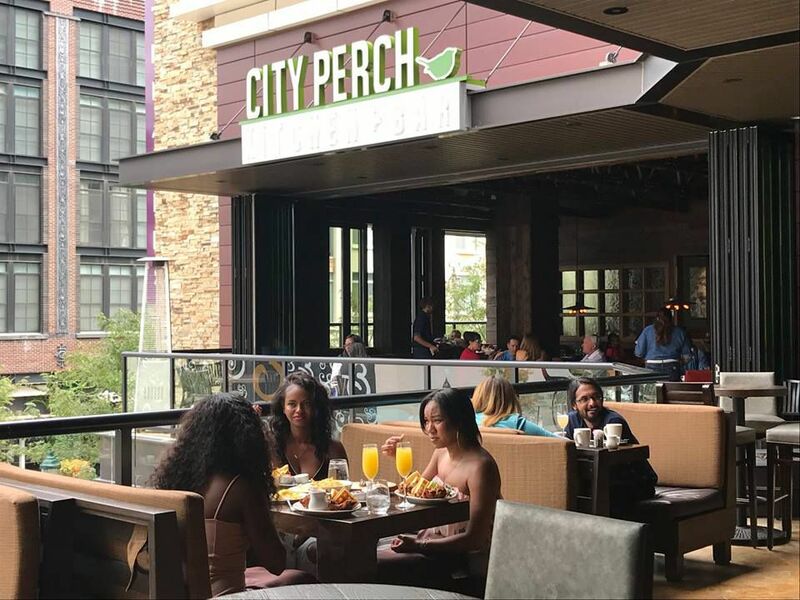 The patio at City Perch. From 5:30 p.m. to 9 p.m., executive chef K.N. 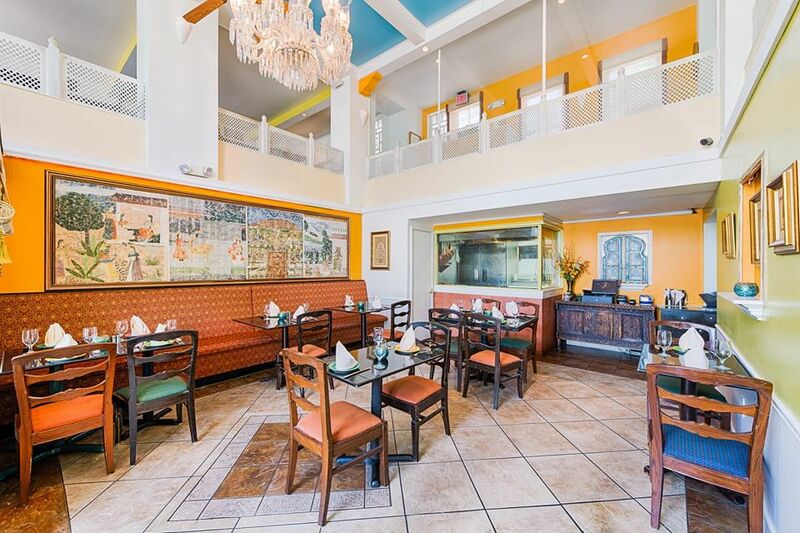 Vinod will be serving his full a la carte menu in addition to specials such as turkey Seekh kebab appetizer ($9) and a Kerala-style fish cooked in a banana leaf ($21). 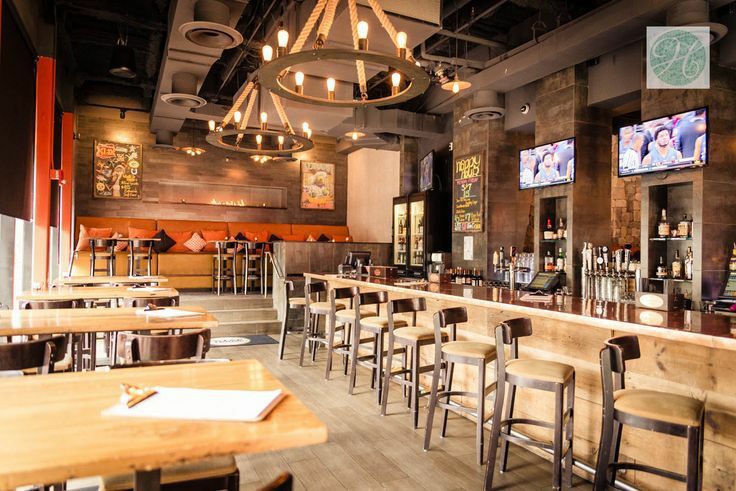 From noon to 9 p.m., diners can head to Cleveland Park for an Israeli Thanksgiving. 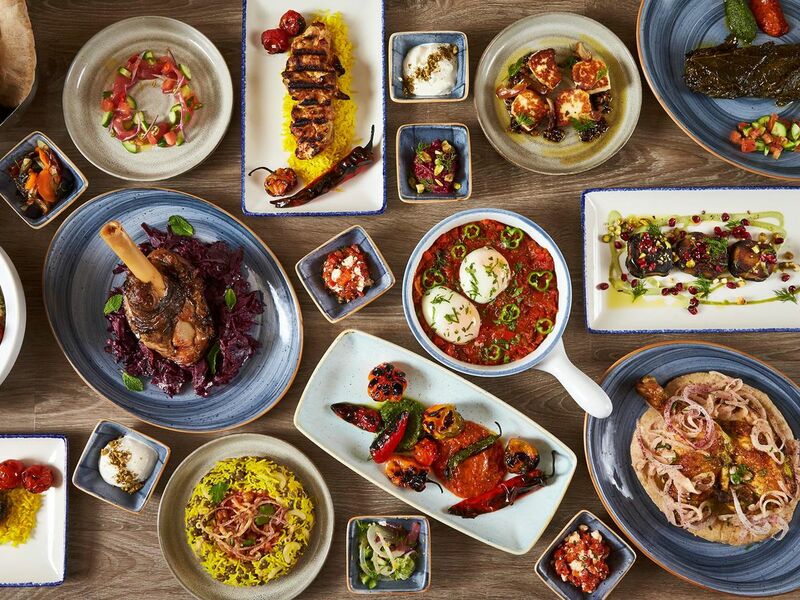 In addition to its regular menu, Sababa is offering six holiday-themed dishes: roasted pumpkin hummus, charred carrots, and fingerling potatoes are all $10; lamb matzo ball soup, turkey kofta with rye stuffing, and grilled lamb chops are all $15. Head to the original in Cleveland Park or the outpost in Foggy Bottom to sample a turkey masala dosa served with a butternut squash bhaji (fritter) and cranberry chutney. 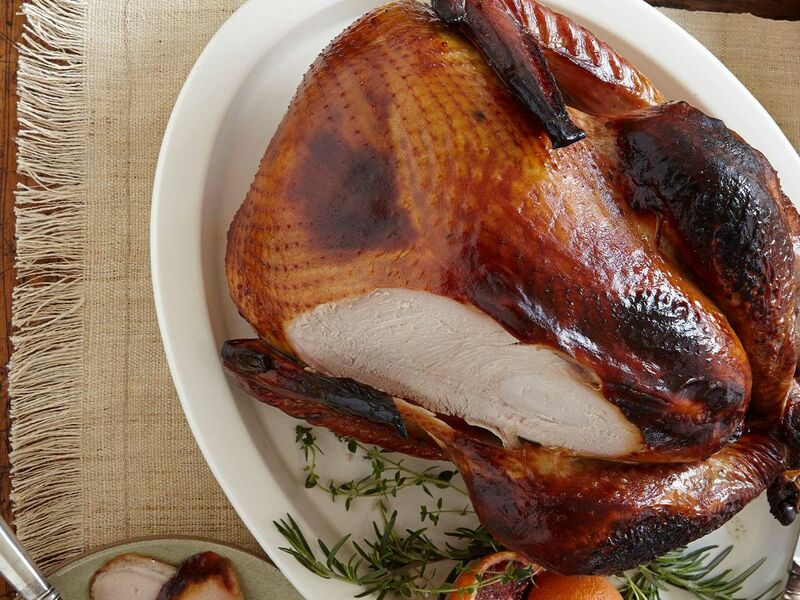 The special dish costs $14, and the complete a la carte menu is also available on Thanksgiving Day. Bindaas Cleveland Park will be open from 5 p.m. to 10:45 on the holiday. 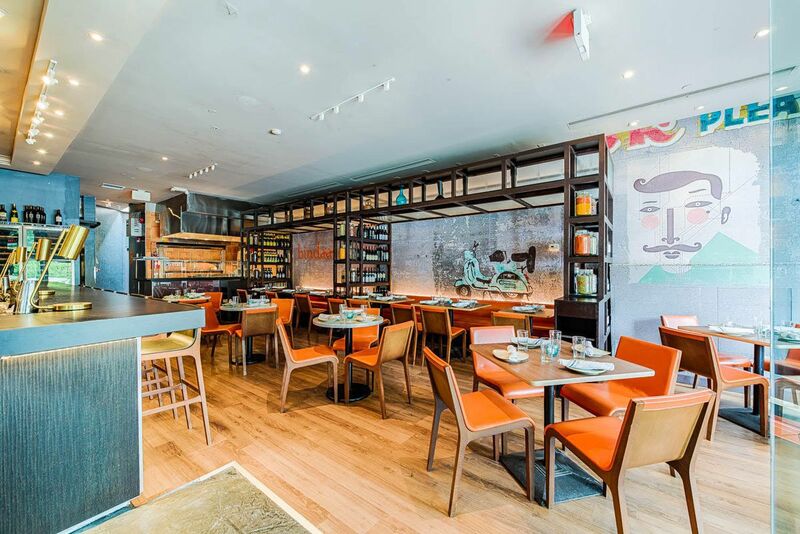 The Foggy Bottom location will operate from noon to 8 p.m. The dining room at the original Bindaas. From 11 a.m. to 8 p.m., this Tysons Galleria restaurant will serve a family-style feast including oven-roasted turkey with a mushroom-herb stuffing and traditional sides. That’s priced at $49.95 per person, and $21.95 for children 12 and under. A gluten-free menu includes pumpkin pie and flourless chocolate cake. 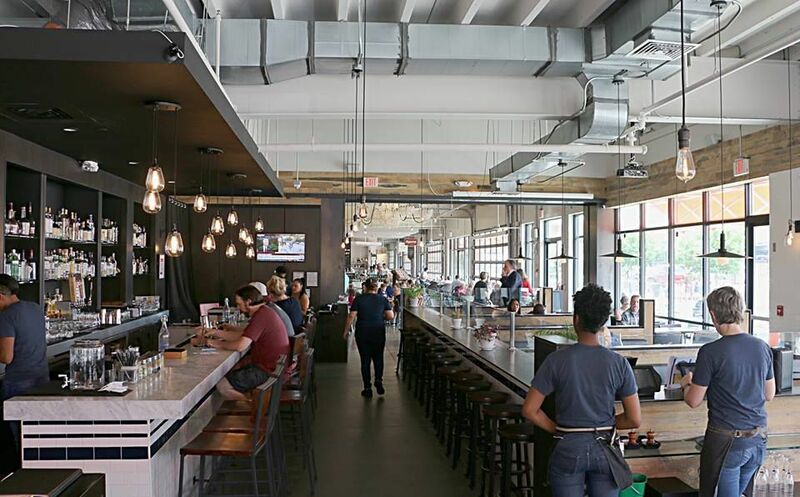 This Union Market restaurant plans to serve oven-roasted heritage turkeys with scratch-made gravy. There’s apple pie with vanilla bean ice cream for dessert. It costs $45 for adults, and $25 for children under 12. The main dining room at Bidwell. 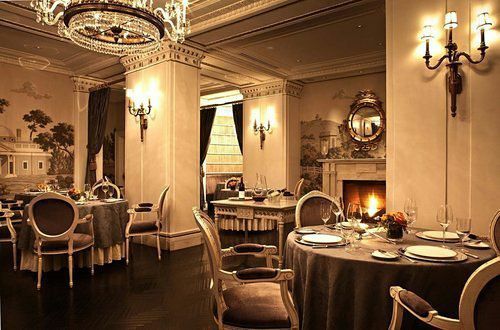 Head inside the Jefferson hotel for a three-course prix fixe Thanksgiving meal at its Michelin-starred restaurant. Highlights from chef Ralf Schlegel this year include organic farm turkey with apple chestnut bread stuffing, green bean cassoulet, and red kuri squash pumpkin pie with Speculoos, chai and caramelized popcorn. There’s also a vegetarian menu that features a yellow corn soufflé with a fall vegetable bouquet. Holiday service is available from 11 a.m. to 7 p.m. and priced at $108 per person for adults and $48 for children 12 and under. Adam Howard took over as executive chef in August, and he’ll ring in his first holiday at the Park Hyatt with a family-style, three-course meal. Starters include wood-oven roasted bone marrow and a Southern spreads platter that comes with pimento cheese, whipped boiled peanuts and black eye pea hummus. Sorghum-brined turkey comes with cornbread-oyster dressing, and customers can opt for prime rib, crab cakes or vegetable pot pie instead. An a la carte breakfast will be served from 6:30 a.m. to 10:30 a.m., followed by a “brunch into dinner” period from noon until 8 p.m. It costs $135 per person for adults and $55 for children 6-to-12 years old. 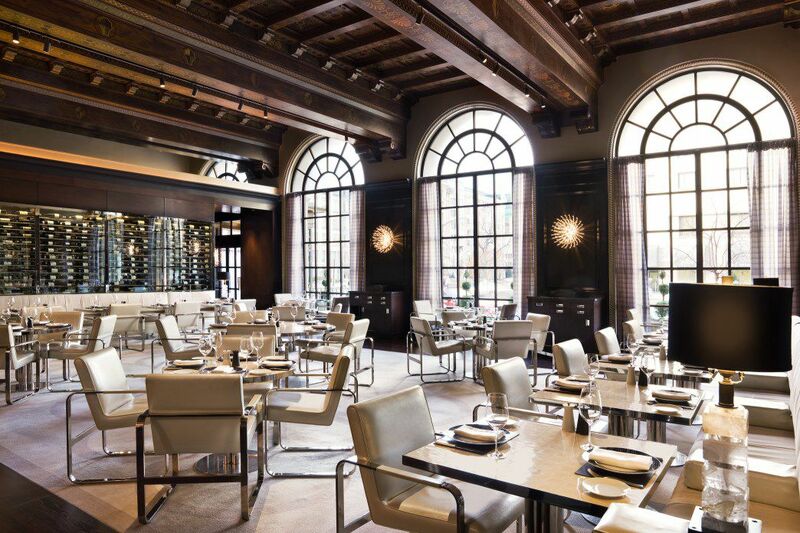 From 11 a.m. to 8 p.m. at the Four Seasons in Georgetown, executive chef Drew Adams is offering a three-course meal with starters such as a stone crab cocktail or — for a $30 supplement — caviar and champagne carbonara with bucatini, duck egg, creme, smoked bacon, and alba truffles. Entrees span from a wood-roasted filet of rib and lobster pot pie to a roasted farm turkey with black pepper Madeira gravy, green beans, and oyster stuffing. See the full menu here. Dinner costs $120 per guest, and $50 for children 12-and-under. 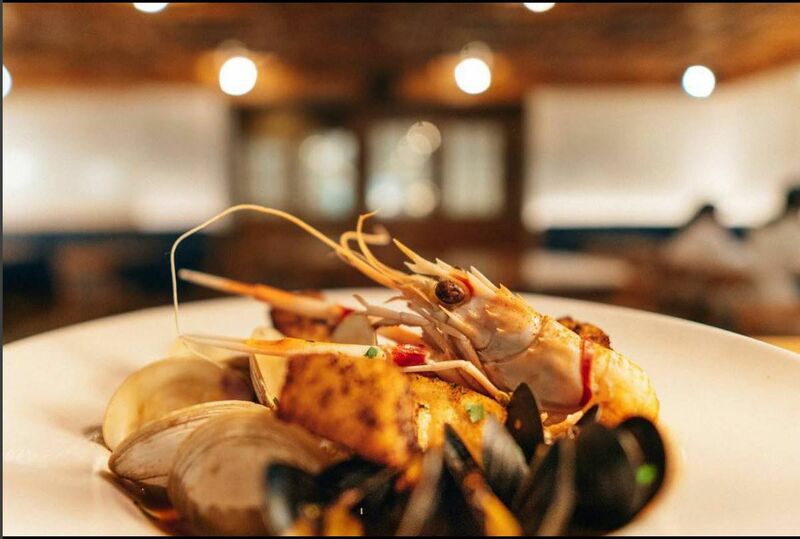 Open since August, the seafood-focused grill is offering its full a la carte menu in addition to sliced, roasted turkey with a host of traditional sides for $31. Holiday hours will run from 2 p.m. to 8 p.m.
From 1 p.m. to 9 p.m., the classic steakhouse will run its regular menu with a special, 36-ounce cote de boeuf of prime ribeye priced at $125. A special 36-ounce ribeye will run for $125 on Thanksgiving at Morton’s. 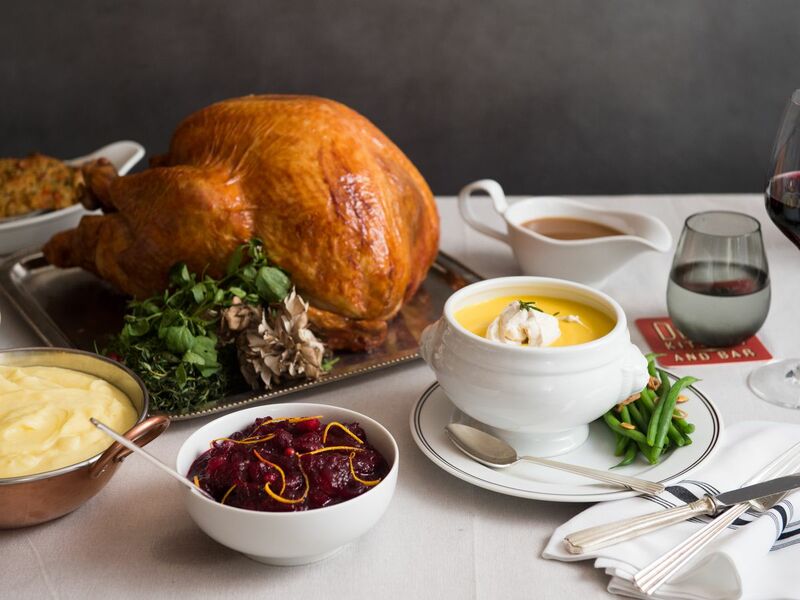 From 12:30 p.m. to 8 p.m., the hotel restaurant downtown is offering a classic three-course menu ($79 per person) that comes with turkey, puree mousseline, traditional stuffing and Southern pecan pie. Executive chef Keith Bombaugh, who led the restaurant’s reinvention after the departures of Frank Ruta and pasty chef Aggie Chin this summer, is offering a four-course tasting menu (11 a.m. to 5 p.m.) for $95 per person. 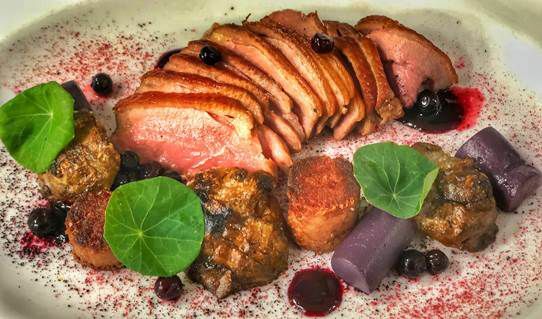 Highlights include a smoked venison tartare, foie gras and duck confit ganache, and a turkey dinner — with a rare offering of seconds — that plates up turkey breast roulade, a confit thigh presse, clam stuffing, and cranberries. Pumpkin makes its way into a potted crème for dessert. See the full menu here. 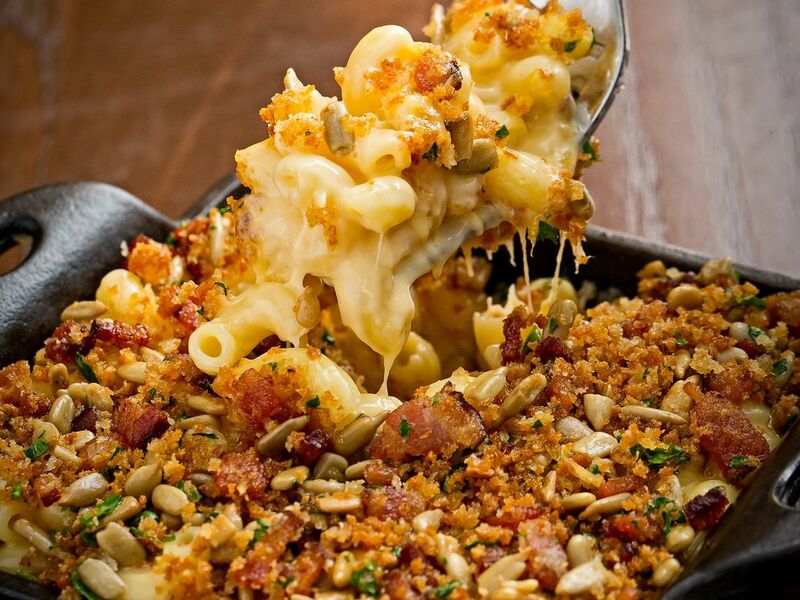 13 Comforting Desserts for Cold Fall Weather in D.C. The Thanksgiving special at the dressed-down tavern area includes thyme roasted turkey breast with mushroom sage stuffing, buttermilk mashed potatoes, cheesy broccoli, and cranberry sauce for $32. There’s also an apple crisp for dessert ($11). 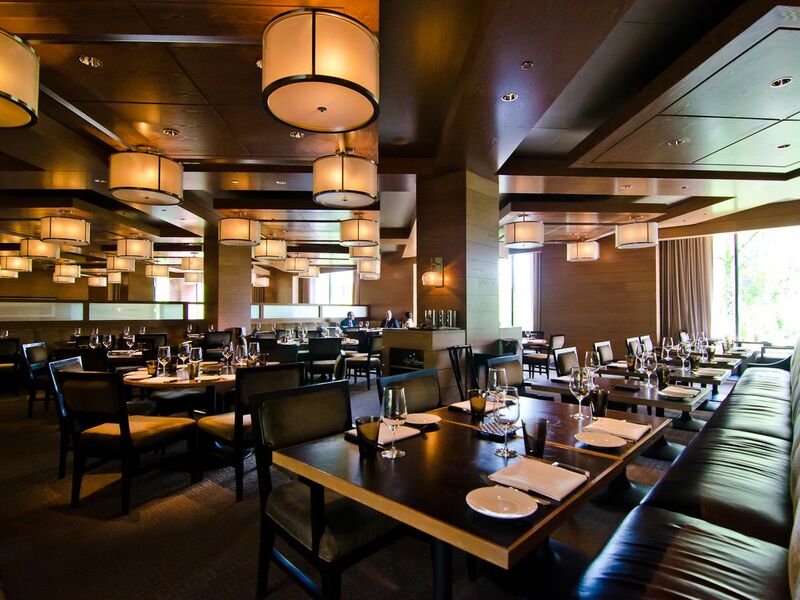 In the glitzy steakhouse section, there’s pan roasted Bell & Evans turkey breast, a Swiss chard and rock shrimp-stuffed leg, truffle whipped potatoes, butternut sage stuffing, and cranberry cara cara orange sauce for $40. 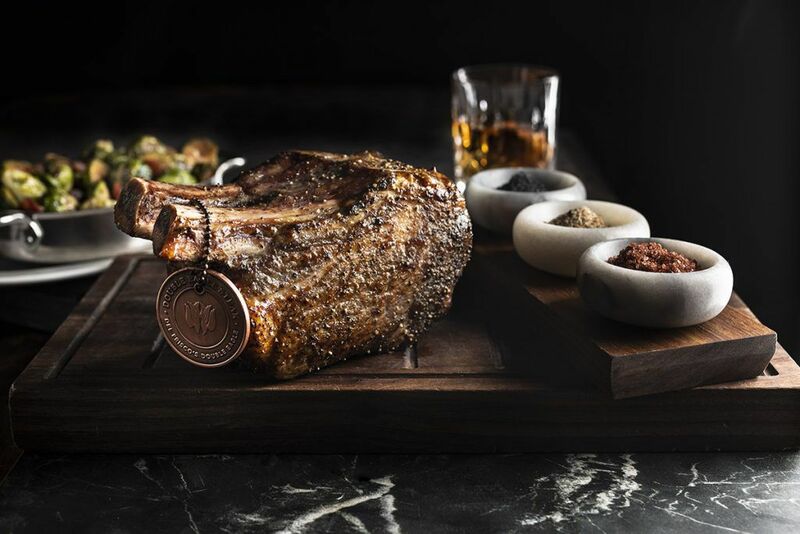 An alternative entree is a bone-in ribeye dry-aged 65 days in-house that comes with steamed bone marrow and caramelized onion bread pudding ($75). For dessert, there is a brûlée with pecan crème sandies ($12). The a la carte dinner menu will be available along with a there three-course menu for Thanksgiving, priced at $30 for adults and $15 for children 10-and-under. The holiday meal includes roasted butternut squash soup with toasted pumpkin seeds to start. The main course is a turkey dinner with rosemary gravy and traditional fixings such as sausage apple stuffing and Parker House rolls. Pumpkin pie cheesecake completes the meal, and there’s also in-house mulled cider and mulled wine available. 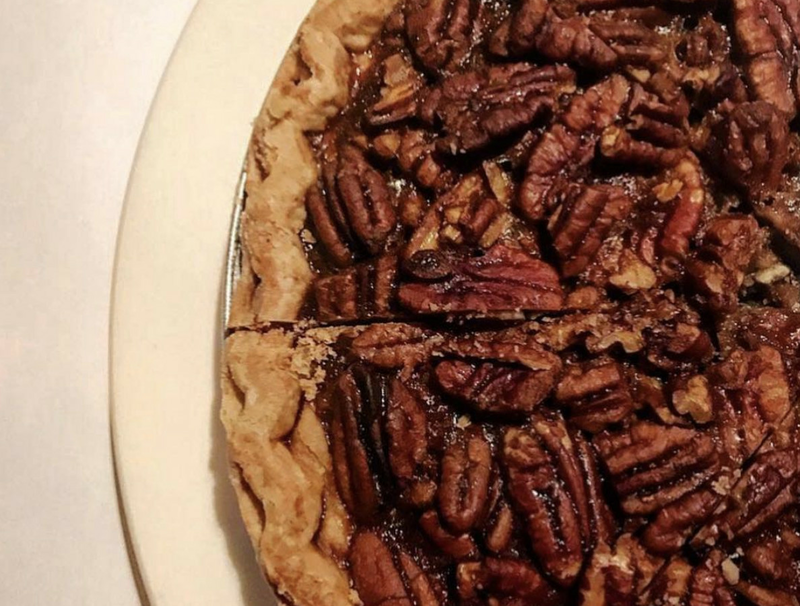 Open from noon until 10 p.m.
A prix fixe Thanksgiving menu features slow-roasted turkey breast with apple sausage stuffing, chateau mashed potatoes, and pecan pie a la mode. 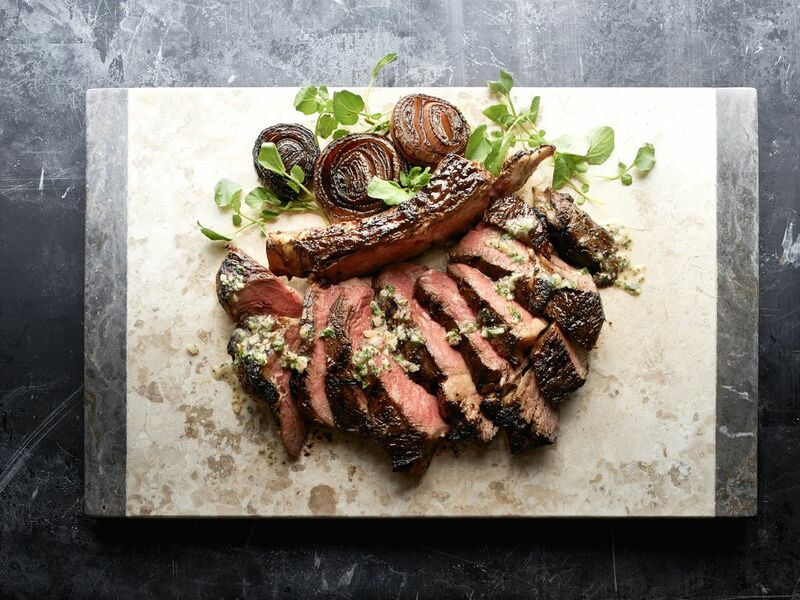 The full menu — including dry-aged steaks — is also available. Pricing for the holiday meal is $59 per person, and $24 for children. 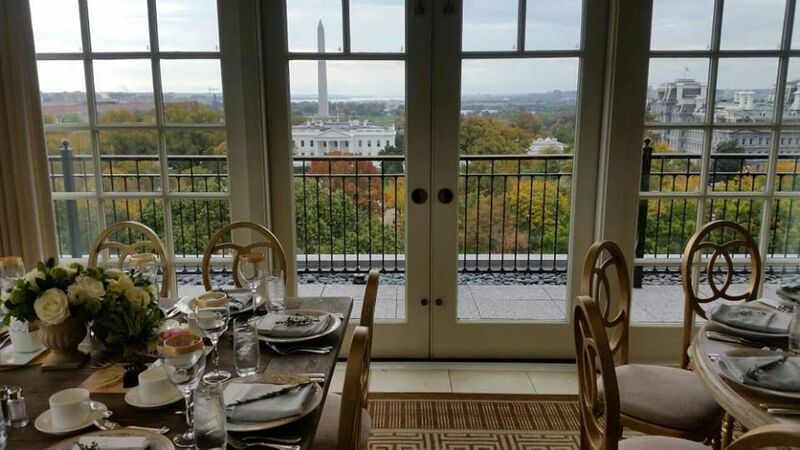 Take in views of the White House while devouring a Thanksgiving spread with live music in the background. The Top of the Hay is serving a buffet featuring everything from pasture-raised turkey to beef tenderloin in Malbec sauce and Maine lobster salad. Kick off the meal with a free Taittinger Brut Champagne upon arrival. The buffet costs $130 per person, and $60 for children ages 4 to 12. Seatings run 11 a.m. and 4 p.m. There will also be breakfast service at the Lafayette from 6:30 a.m. to 11 a.m. and lunch at Off The Record. Dinner with a view at the top of the Hay-Adams. Executive chef Bryan Moscatello is preparing a three-course holiday menu (noon to 8 p.m.; $60 per person with $99 wine pairings) showcasing a variety of fowl such as smoky farm quail with quince, Brussels sprouts and rutabaga; roasted organic turkey with cornbread stuffing; and pheasant with parsley root, Georgia candy squash, sunflower, and dried cherry. The bar at the Oval Room. From noon to 9 p.m, diners can feast on its fall dinner menu with holiday specials like roasted heritage turkey ($33.50) with giblet gravy and apple fennel stuffing. A pan-roasted rockfish with jumbo lump crab meat ($32.50) is also offered as a main course. A Georgia pecan cream tart with Jack Daniel’s gelato ($9.50) is for dessert. An Italian-themed Thanksgiving meal (noon. 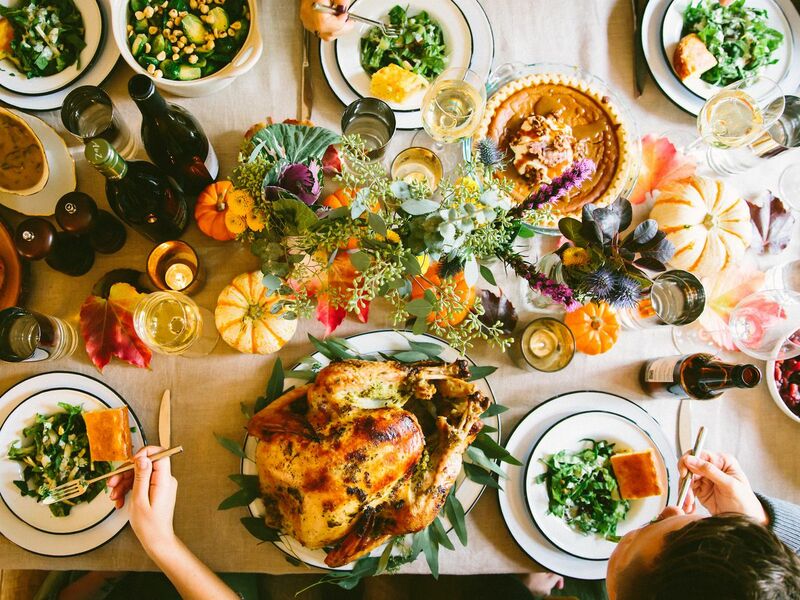 to 8 p.m.; $69 per person or $110 with wine pairings) includes playful approaches to the bird on the first course: turkey and apple meatballs and warm turkey carpaccio. 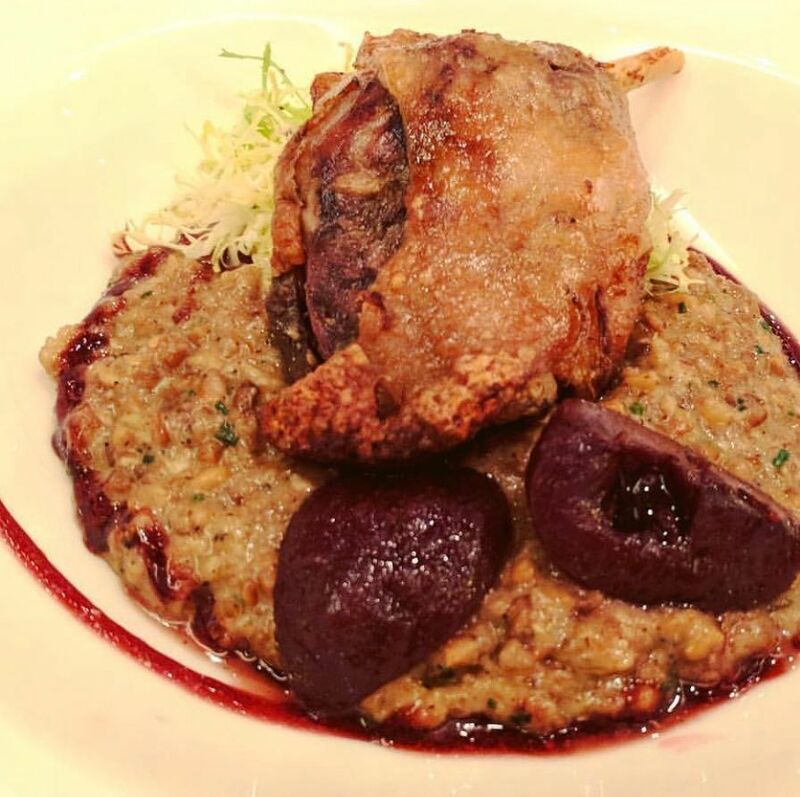 Mains include a chestnut gnocchi, farro risotto with quail ragu, and a roasted turkey breast stuffed with cornbread. Dishes will also be available a la carte at $12 to $28 each. 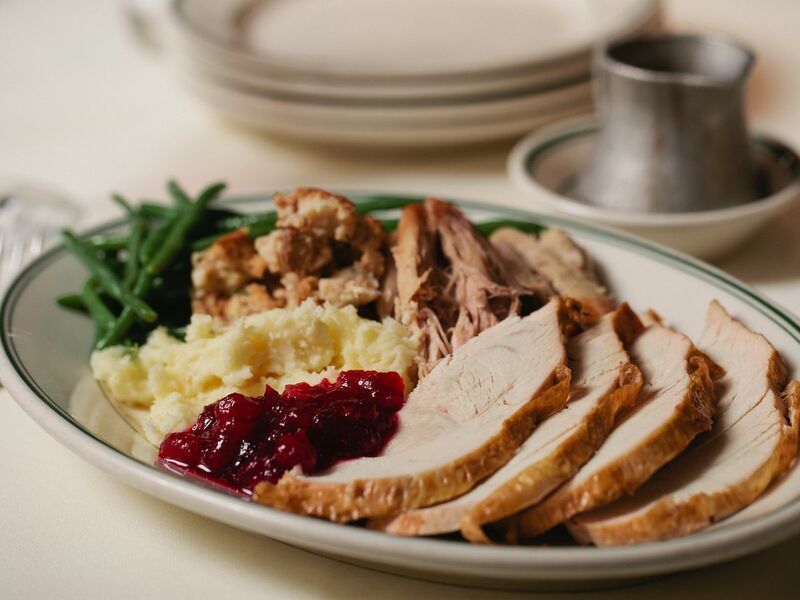 From noon to 10 p.m., Joe’s will offer a feast centered around sliced turkey breast with leg and thigh confit and pan gravy. That’s accompanied by stuffing, cheesy mashed potatoes, citrus cranberry relish, green beans amandine, and butternut squash with toasted marshmallows. Pumpkin chiffon pie completes the meal. It costs $54.95 for adults, $27.95 for children 5-12, and is free for kids under 5. 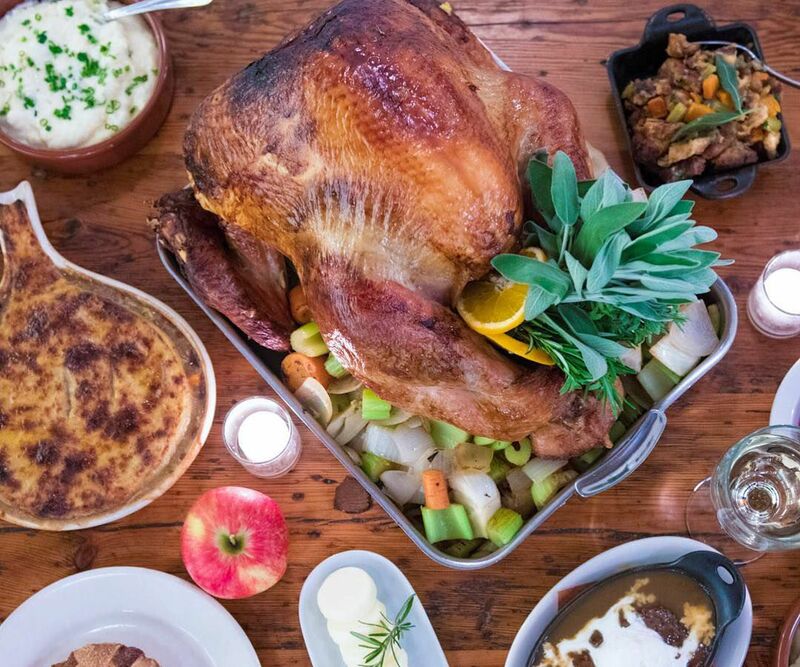 This year’s a la carte Thanksgiving menu features slices of roasted turkey breast with chestnut stuffing, sweet potatoes, Brussels sprouts, cranberry sauce and gravy ($35) alongside more inventive entrees such as venison orecchiette ($17/$29) or salmon with leek fondue and crushed potato ($30). A to-go turkey sandwich on focaccia runs for $15. See the full menu here. A three-course dinner for $47 per person (half price for kids under 12) features starters such as pumpkin ale butternut squash soup and tuna poke, mains such as a turkey osso buco and braised short ribs with pumpkin spaetzle, and desserts including a pumpkin tart with a brittle made from the seeds. Fixings for the table (apple brioche stuffing, Brussels sprouts, mac and cheese, cranberry orange jam) are included. See the menu for Penn Quarter here, and U Street here. The Southern restaurant from chef Edward Lee is serving a three-course, family style meal for $55 ($27.50 for children 12 and under). Small plates include cornbread cakes with sorghum butter and bacon deviled eggs with caviar. Sliced turkey breast comes with oyster sage cornbread dressing and sides such as butternut mac and cheese and charred green beans with shallots and chestnuts. There’s also an option to order raw oysters with dill mignonette and coffee rubbed rib-eye steak with bourbon mustard gravy. Smoked tofu rubbed with Old Bay should please vegetarians. 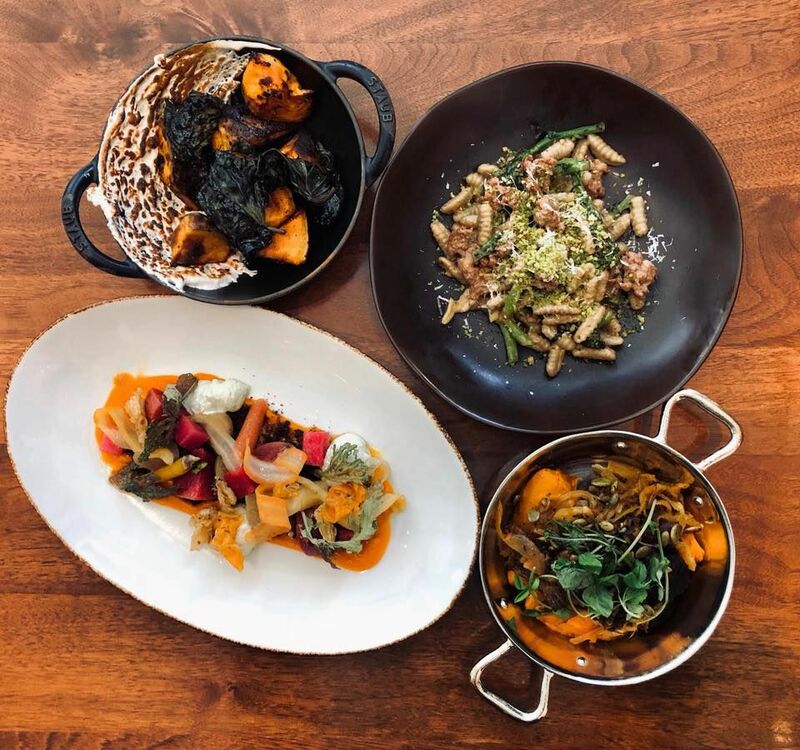 This downtown restaurant is offering a three-course menu from noon to 8 p.m. with entrees such as turkey, duck leg confit, hanger steak, and saffron risotto. Desserts include pumpkin pie, banana bread pudding and the Central chocolate bar. The price is $68 per person, and $28 for children. 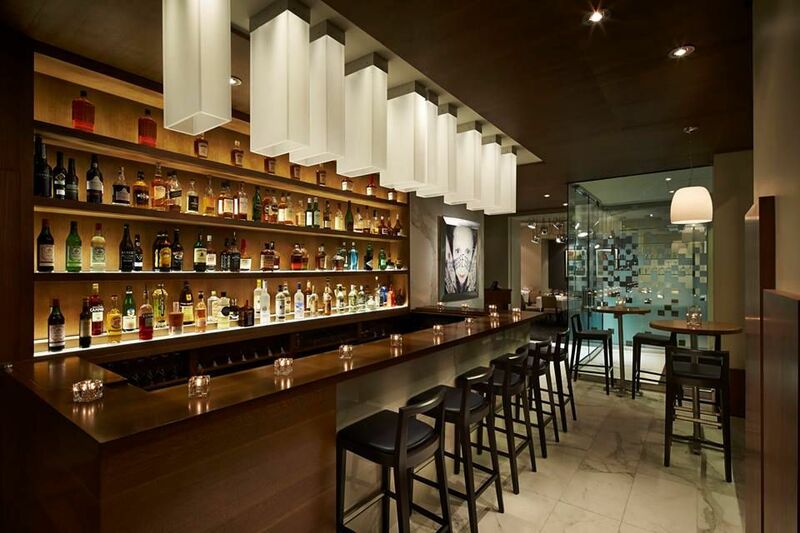 Where to Eat Near the National Mall in D.C. The recently refreshed Charlie Palmer Steak is preparing a three-course prix fixe menu (2 p.m. to 8 p.m.) with entree options including a cider-brined, sage-roasted free-range turkey with smoked giblet gravy, porchetta, and pumpkin agnolotti. Pumpkin cheesecake and peanut butter and chocolate terrine highlight the dessert selection. The price is $75 per person, and $25 per child under 12.